It's quite common these days to read clickbait headlines telling us about the 'Most brilliant woman scientist/mathematician you never heard of' - I doubt if I'm alone in saying quite genuinely I had never heard of Janet Taylor, or her work that John and Rosalind Croucher believe made her deserving of that title 'Mistress of Science.' 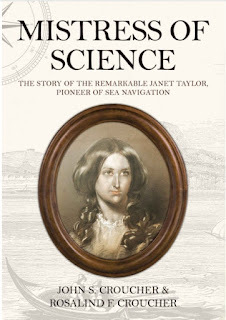 In the preface to the book we are told that 'Janet Taylor, born Jane Ann Ionn, made her mark as a brilliantly gifted scientist of her era,' - but is this hyperbole or reality? This is far more a conventional biography than a scientific one, so while Taylor's work is certainly mentioned, we don't get a lot of detail about the science or the maths (a bit odd, given one of the Crouchers is a professor of statistics). As a biography, it's readable, if in a fairly old-fashioned style that spends rather more word count than is necessary on the comings and goings of the royals - though to be fair, the Crouchers give us a vivid picture of some aspects of life in London at the time, such as the thriving docks or the replacement of Old London Bridge. That rather dated style comes across, for example, in describing the visits made by Queen Charlotte to Taylor's Bedfordshire school (sponsored by the Queen) we are told that 'The queen's beautiful blue-grey eyes and genuine warmth always put the girls quickly at ease,' a sentence that seems more fitting for a romantic novel than a biography. There are some biographical aspects of interest - for example around Taylor's meeting her future husband when he helped her pick up her (English) books after she dropped them in the street in Antwerp (they were eventually married in the Hague) and in the odd tangle of their names. Pre-marriage they were Jane Ann Ionn and George Taylor Jane - so potentially she could have ended up as the amusing Jane Jane - but perhaps to spare this, Taylor dropped his surname for his maternal middle name and 'Jane Ann' became Janet. So, what were Taylor's scientific achievements? 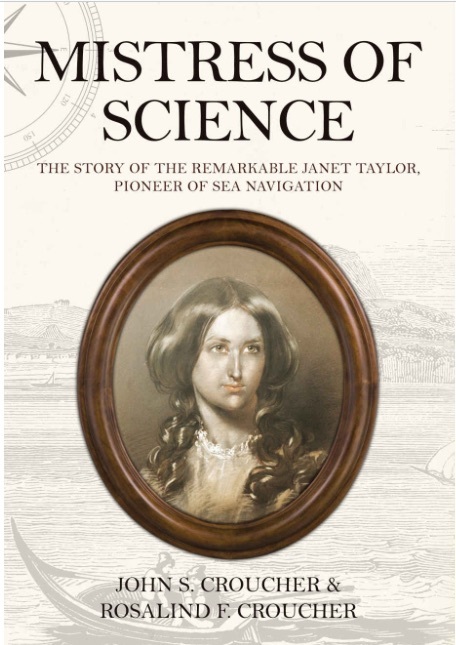 She seems to have been the driving force behind setting up a 'navigational academy' with her husband and writing on navigation - not exactly science, but a practical application of mathematics that was well-established, but that Taylor was able to fine tune in some respects. She was gifted and enjoyed mathematics. She was clearly fascinated from an early age by nautical astronomical navigation and seemed to have spent much of her spare time in early adulthood reading about this and performing her own calculations. A driving force in her work seemed to be to make correction for the non-spherical nature of the Earth - though the planet had been known to be an oblate spheroid since Newton's day, it seems the corrections employed weren't accurate enough for Taylor's level of precision. I think it's best to think of Taylor as the navigational equivalent of an engineer. She didn't come up with original maths or science, but was highly successful in her application of existing knowledge. This is not to undermine her achievements - especially given the bias against female participation of the time - but is a far more accurate description than to call her a 'brilliantly gifted scientist.' (Part of the problem is the rather loose use of the term 'science' before the mid-nineteenth century.) Despite the repeated use of the 's' word, this is not in any sense a scientific biography, but interesting nonetheless: it remains well worth reading as a life story.